Anthony Tinoco is just an average guy looking forward to his first day at college. 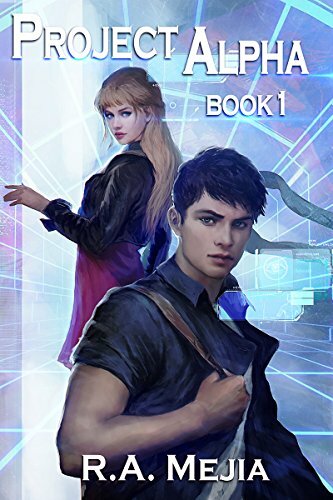 Unfortunately, he gets lost on the huge campus and when he follows a hot girl to what he thinks may be his first class, he’s accidentally introduced to a new world full of action and adventure. A world that exists in parallel with our own, the System. Now Anthony is getting new skills for doing every day tasks, gaining levels from fighting monsters, and experiencing adventures he never thought possible. Not everyone is happy to see someone like Anthony with these new powers and is willing to do whatever it takes to stop him from using them. Including murder. Will he be able to handle these strange new powers? Or will his enemies win and force him back to his normal boring life? Project Alpha is a LitRPG Adventure.